In Japan, there exists a category of games called fan discs. These can be additional games, but might also focus on forms of media. Their goal? To offer additional insight into a story by providing players with side stories or an epilogue. The Legend of Heroes: Trails in the Sky the 3rd is essentially a massive fan disc for The Legend of Heroes: Trails in the Sky. It not only offers more information regarding Estelle and Joshua, but gives us a chance to learn more about party members or NPCs who might have touched our hearts in the first two games. 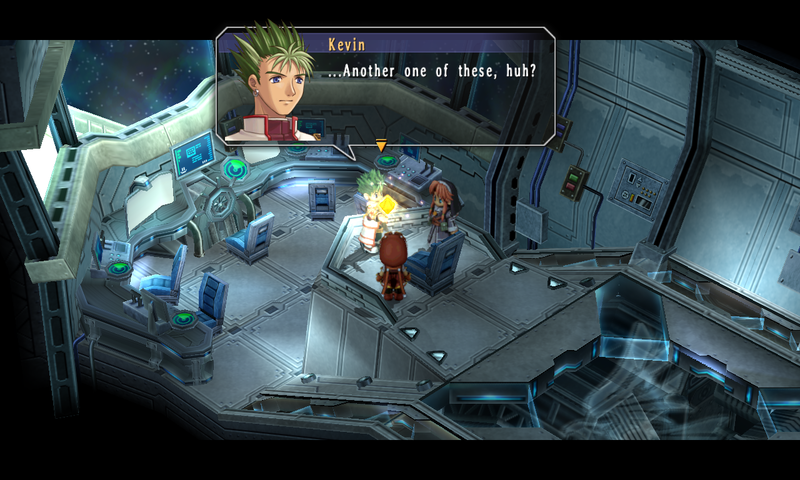 Calling it a fan disc may sound odd, since Trails in the Sky the 3rd begins about six months after Trails in the Sky SC. We join Father Kevin Graham, of the Septian Church’s Gralsritter, as he carries out a mission to recover a rare and forbidden artifact from a crooked businessman. It goes well, as his missions tend to, and he finds himself working with an old friend and new agent, Sister Ries Argent, to recover another artifact from Liberl’s Grancel Cathedral. This task ends up becoming more troublesome than the last, as the two of them find themselves in Phantasma. This realm allows them to get involved with issues across time, with other familiar faces appearing Phantasma to aid them on their trek to reach this dungeon’s master. 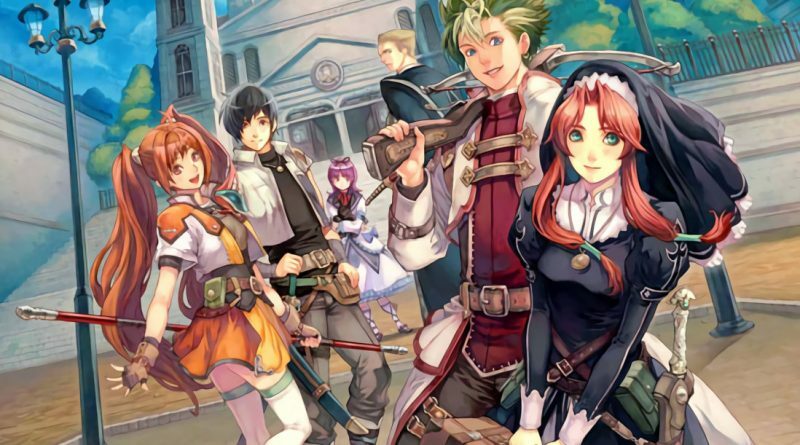 Trails in the Sky the 3rd will be a bit of a shock for some players; while we do learn more about many people we love, it proceeds in a manner that is different than the previous two installments. What really struck me was the balance between the old and new games. Trails in the Sky the 3rd is absolutely a game you should play after the previous two installments in this trilogy. You will get so much more out of it if you do. Still, it could work on its own. While I would never, ever recommend only playing this game, you could. (Seriously, don’t.) Kevin and Ries’ story stands up on its own. They are well developed and interesting characters. When other familiar faces appear, they are engaging enough to pull people in even if you have only a passing familiarity with them. While part of the appeal is going from moment to moment, where you learn more about characters from the previous two games, Kevin and Ries are equally interesting. But again, the side stories following other characters are the best part. I think the translation is part of the reason Trails in the Sky the 3rd works as well as it does. Everything is phenomenally done. The main story is engaging. The people you talk to who just happen to be around and have nothing to do with what is really going on are fun to interact with. Most importantly, there’s a sense of consistency. This game was a labor of love, and that comes through with every conversation or bit of exposition. Which is good, because the rest of the game probably isn’t what people would expect and the story will be what keeps them going. 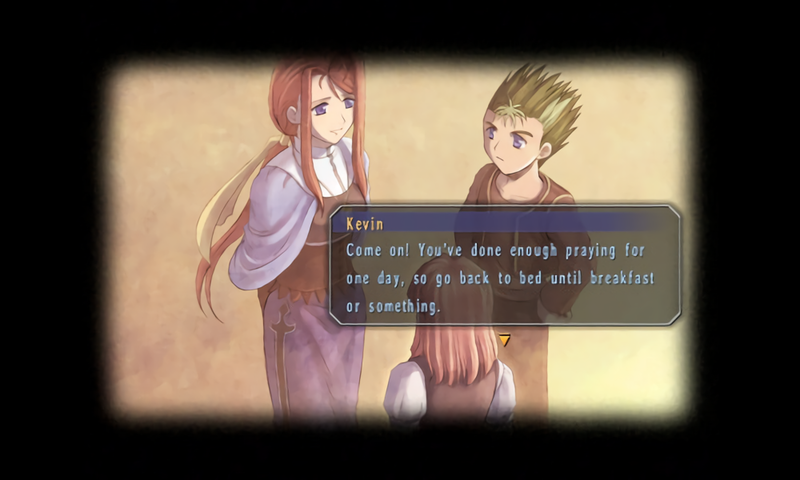 Trails in the Sky the 3rd will be a bit of a shock for some players; while we do learn more about many people we love, it proceeds in a manner that is different than the previous two installments. Phantasma is this huge dimension. You’re battling from story segment to story segment. Side stories break these up, but it can sometimes feel a bit like Final Fantasy XIII. You’re basically on this straightforward path and don’t really have the opportunity to explore and roam in the same way you did with the previous two games. You travel through Phantasma, fighting foes and finding your way, then come upon a side story. You learn more about someone like Estelle, Joshua, Anelace, Kloe, Olivier, Schera or Tita after walking through a door. Maybe, if you’re far enough along, you advance Kevin and Ries’ story. Then, you go explore Phantasma some more. You don’t get to explore towns. You’ll need to visit monuments to heal, upgrade weapons and purchase equipment. Some equipment will be available as enemy drops, and you won’t really be sure where or when they’ll appear. While you will do and see quite a bit, Trails in the Sky the 3rd feels like a pared down experience. While you will do and see quite a bit, Trails in the Sky the 3rd feels like a pared down experience. The increase in difficulty might also throw people. Trails in the Sky the 3rd is hard. The battle system remains the mostly the same. You take part in strategic, turn-based battles where positioning your characters and using the right attacks and skills is essential to surviving. The difference is, the enemies feel far more unforgiving. Fortunately, the game gives you hints. Some enemies are certain colors, which give you hints as to which Arts you should or shouldn’t use on them. You also get 16 characters to use and that helps with building diverse parties that can tackle any challenge. Which brings me to something you need to know. 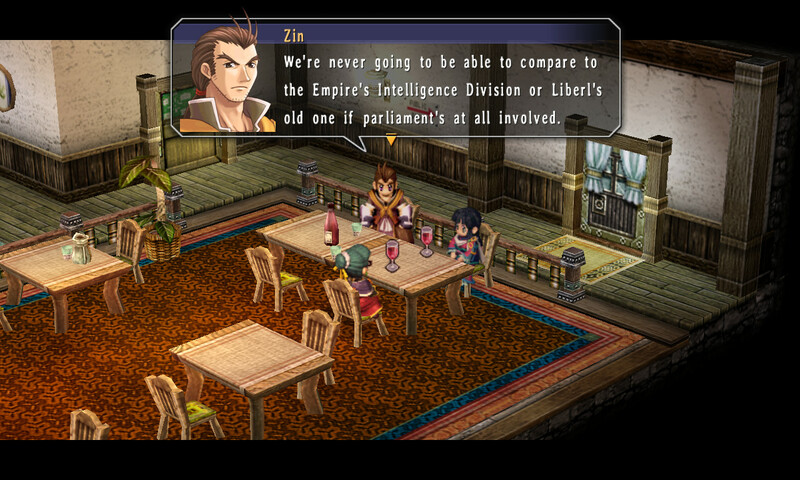 Use every single party member in Trails in the Sky the 3rd. When you reach the end, you will eventually need to split the group up. You will have four groups, each with four characters, and you will need to use all of them to complete the game. If you don’t use everyone and keep them all leveled, you will be in trouble when the end comes. 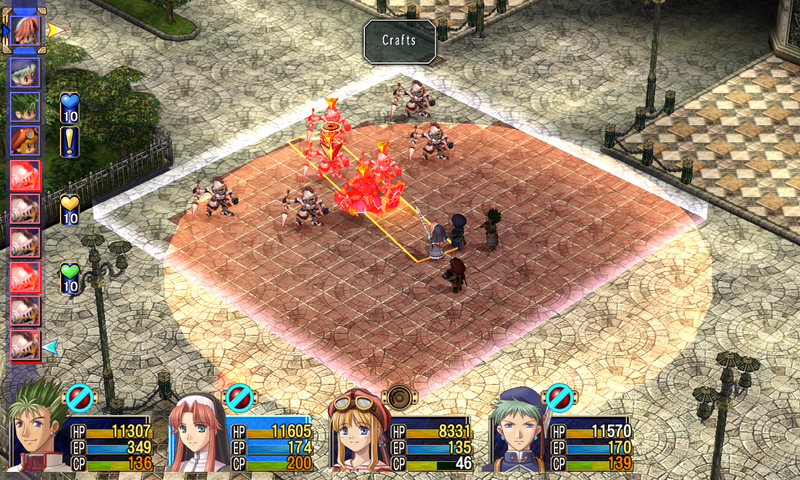 The Legend of Heroes: Trails in the Sky the 3rd is an important game. It is one that we were very lucky to get. Ten years after its original PC debut, it is actually here. People who have loved the Trails in the Sky series should pay attention, because it gives us more time with people we loved. People who enjoy The Legend of Heroes in general and Trails of Cold Steel may want to try it, since it offers more information about a world we are still exploring. Everyone else should just… well… go play the first The Legend of Heroes: Trails in the Sky and see what they’ve been missing.